BENJAMIN GOODSON IS A CONDUCTOR AND CHORUS MASTER. Benjamin Goodson is the new Chief Conductor of the Netherlands Radio Choir from the 2020/21 season. He is musical director of Bath Camerata and chorus director at Dorset Opera Festival, UK. From 2016-2020 he is the assistant conductor of the Grammy-winning Rundfunkchor Berlin. Goodson prepares choirs for the world’s leading conductors and orchestras, including Sir Simon Rattle and the Berliner Philharmoniker, Christian Thielemann, Ivan Fischer, Vladimir Jurowski and others. In the 2018/9 season he works as a guest conductor with the Netherlands Radio Choir, NDR Chor Hamburg, MDR Chor Leipzig and the chorus of the London Symphony Orchestra, which he prepares for a performance at the BBC Proms. He conducts Consensus Vocalis at the Stift International Music Festival and appears at the Musikfest Berlin to conduct Feldman's Rothko Chapel with Tabea Zimmermann and the Rundfunkchor Berlin. Goodson is committed to exploring new avenues of choral performance. He has staged Bach's Matthew Passion with Tom Guthrie, performed as co-conductor in Rundfunkchor Berlin's Human Requiem, and assisted in developing Robert Wilson's ground-breaking staging of the Bach Motets. 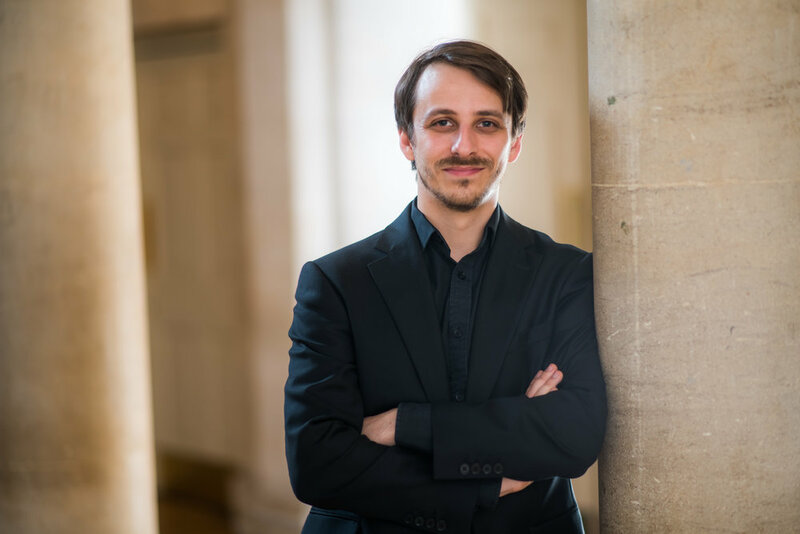 Born in Hertfordshire, UK, Benjamin Goodson studied music at Hertford College, Oxford, where he was awarded the University's top conducting prize. He studied conducting with Sir Colin Davis, Paul Spicer, Peter Stark and Ulrich Windfuhr. Three years after graduating, Goodson was appointed Director of Music at Somerville College, becoming the University of Oxford's youngest Director of Music.